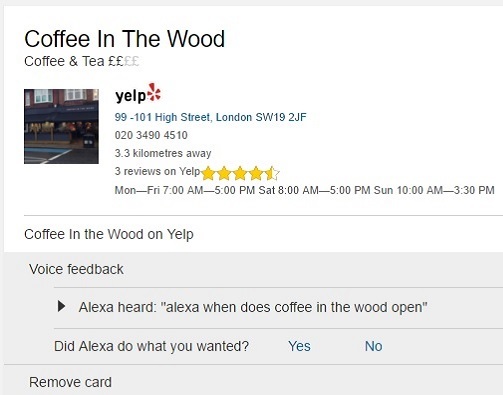 A Welsh Born Icon: Alexa, when does Coffee in the Wood open? If you add your address to an Echo speaker it can bring up local information. This is the app "card" I got after asking about a nearby coffee shop. Alex herself told me it was open and would close at five.